Known the world over as the premier manufacturer of acoustic guitars, the Martin brand is synonymous with quality, tone and playability. Owning a Martin acoustic guitar is the best decision you’ll ever make. Martin pioneered the Dreadnought - named after a battleship of all things - no doubt because of its big booming presence, the Martin flagship guitar model is the D28. Come visit our awesome new guitar room to try out the world’s most famous acoustic brand - C.F.Martin & Co. Dial up cool when you purchase your new Fender at Lewis Eady. The Stratocaster and the iconic original – the Telecaster – have been the worlds’ signature electric guitars for since Leo Fender invented what would become the quintessential instrument for rock, country and blues musicians. Fender = cool. Full stop. Come in and try yours now! 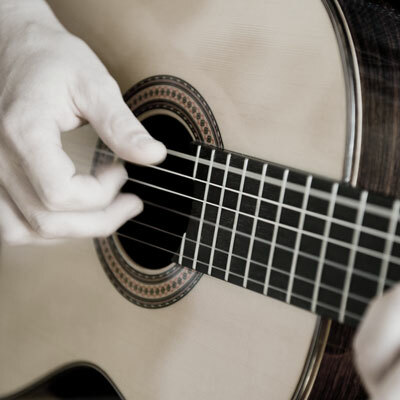 You can almost smell the orange groves of Spain, when you pick up your brand new classical or flamenco Alhambra guitar. Tone wood selection is critical to how your Alhambra will sound and resonate in your hands. Since 1965 Alhambra have been hand building and finishing instruments from the finest tone woods available, including Red Cedar, Indian Rosewood, German Spruce and Cyprus. Come in and get your nose into your new Alhambra. Born into this world by the Martin Guitar company, Sigma are an extremely price friendly brand and enjoy all the quality hallmarks of its famous parents. Using solid Sitka Spruce, Indian Rosewood or Mahogany, Sigma produce fine classical and acoustic models. They are wonderfully wallet friendly without compromising either tone or playability. Try a Sigma at our new guitar room, where Ed and his team will be only too happy to ensure you walk away with the very best instrument for whatever your budget is. Sold in over 60 countries around the globe, the name Valencia is synonymous with reliability and value for money. Made in fractional sizes for the younger player and different colours, a Valencia guitar is a great place for your musical journey to begin. If you’re selecting a Valencia as your first guitar, you will me making a great choice. And be assured if you are a new player our specialist guitar team will set up the guitar so it’s easy to play, just for you. A first guitar for many, Cort is a brand that’s enjoys a special place in the New Zealand musical context. Perfect for the beginner, the brand sits at the value end of the market and we recommend them without question to players coming to the guitar for the first time. They are reliable and durable instruments with a pretty price tag. See the latest Cort models now in our uber cool new guitar room at Lewis Eady. The Hawaiian pronunciation is Ooh-ku-LE-le, without the YU. But however you say it – Ukulele mean fun! The world-wide resurgence of this brilliant little instrument is still powering away and at Lewis Eady we specialise in the top selling brands Kala and Makala. You see them everywhere because they are so easy to play, portable, pretty inexpensive, and so much fun. It’s easy to get a group of people playing together around the ukulele and there seems to be a community aspect around it. It’s a really inclusive instrument. Come into Lewis Eady to try one out. And if you are looking for a Folk instrument, then we’ve got that covered too with a great selection of Banjos and Mandolins. 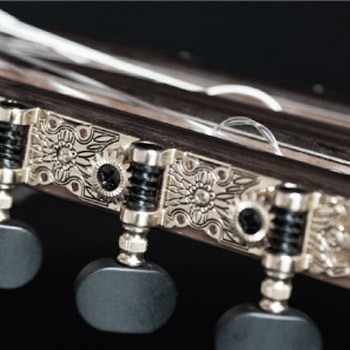 Here at Lewis Eady we offer a full selection of guitar accessories - including picks, strings, capos, leads, bags & cases, tuners, stands, spare parts and much more.